Home NOT directly on Hazel.Tucked back at the end of a private road. Quiet & serene, a must see. 2 homes on .64 lot, zoned RD2. Main home 1862sq, ft, 2bd/2bath inside laundry & mud-room. Spacious family room, fireplace, sunny kitchen with large pantry, separate dining area and laminated flooring throughout. Roof & HVAC replaced in 2010. Cottage-2bd/1ba. approx. 950sq. 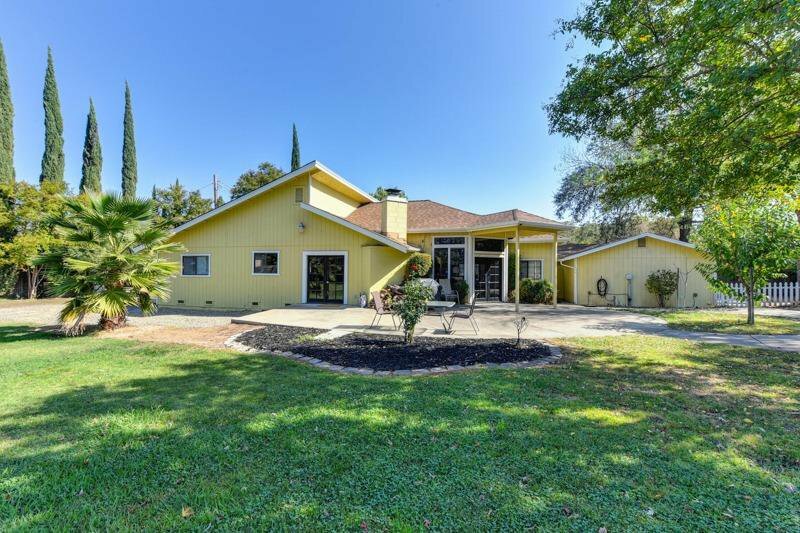 ft. Detached 3+car garage 1000sq.ft., built in 2000 with 1/2bath, sheet-rocked, plumbed for pneumatic air device, A/C unit, 2 roll-up garage doors & 220 voltage. Perfect for investor, multi-family use, rental income/home business. Listing courtesy of Better Homes And Gardens Re. Selling Office: MAE Capital Real Estate and Loan.